Driving rules in New Zealand. 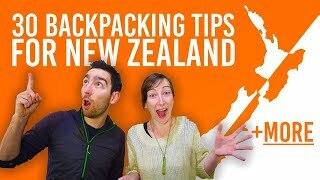 Fasten your seatbelts and get ready for a New Zealand road trip! There may be a few differences between driving in New Zealand and how you drive at home. The biggest change for some is driving on the left side of the road, so this is something you need to get used to. Nevertheless, there are many great reasons to take a road trip in New Zealand. Learning these little changes in your driving habits is well worth it. 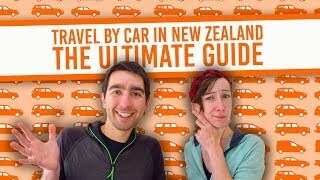 Check out our guide below on how to drive in New Zealand before departing on your great road trip, so you are not hit with any unexpected fines that could easily have been avoided. 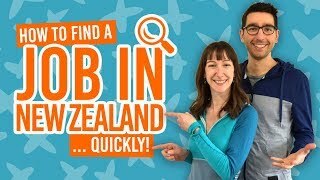 What rules do you need to know to drive in New Zealand? You must hold a valid driving license. Keep left and know how to use intersections. It is illegal to use a cellphone or be under the influence of alcohol or drugs while driving. Know when to overtake safely. Know the parallel parking rules. Learn about the New Zealand speed limits. Be aware of the common New Zealand hazards. Know how to use one lane bridges and rail crossings. Take into account the longer travel times when planning. In order to drive legally in New Zealand, you must have a valid driver license while you are driving. The license must be in English or have a valid form of English translation. The easiest way to get around this is by getting an international driver license in accordance with the United Nations Convention on Road Traffic. 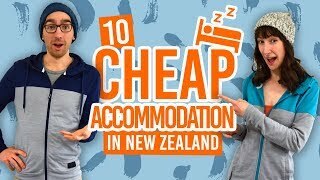 The license must be up-to-date for your whole stay in New Zealand. You can drive for 12 months since the date you arrived in New Zealand. After that, you can use it for another 12 months, if you leave and return to the country. Or get a New Zealand driver license, which is also a valid form of ID when buying alcohol. See how to convert your driver license into a New Zealand driver license in our dedicated article. Here, in New Zealand, we drive on the left side of the road. It’s easy to forget if pulling out from an intersection, but always remember to keep left! Speaking of intersections, you must give way to vehicles that are not turning. Use you indicator to show which way you are turning. When at an intersection with a traffic light, you cannot turn left when the traffic light is red. Once the light turns green, you must give way to pedestrians crossing the road before turning. While these are pretty simple rules of the road in New Zealand, it’s essential to be aware of all of them. We have the main ones in list form in The 12 Golden Rules of Driving in New Zealand. No this is not a list for a modern-day rave, these are limitations while driving. It is illegal to use a hand-held cellphone while driving. You must use a handsfree device if you want to chatter to your mates while driving. Don’t drink and/or use drugs then drive. Although there is an alcohol limit for driving in New Zealand, it is best to not drink and drive at all. Obviously, only overtake when you can see it is safe to. Most of the roads are single lane in New Zealand. Some roads have passing lanes, which is your best option for overtaking. If there is a solid yellow line in the middle of your side of the road, this indicates it is too dangerous to overtake. If you start to get a line of vehicles driving behind, keep an eye out for a safe place to pull over and let them pass. Parallel parking on the side of the road must be in the same direction of the traffic flow. If you get it wrong, by parking the wrong way you will get a NZ$40 fine. There are signs on New Zealand’s roads indicating the maximum speed you can drive on that road. Obviously, it’s not a challenge to reach that speed limit, some roads are windy or the weather can be bad so keep your speed accordingly. New Zealand speed limits are measured in km per hour. On most of the rural roads the limit is 100km/h. In urban areas it tends to be 50km/h. The white sign with a black line through it indicates the national speed limit, which is 100km/h. You will also see recommended speeds for sharp corners signposted. Extra hazards you might find in New Zealand are the winter conditions, animals on the road, and gravel roads. The slippery surface sign shows that the road is hazardous when wet or icy. Keep your speed down and avoid breaking suddenly. If you are going through a snowy mountain pass or driving up a mountain to a ski field, for example, make sure you have chains and know how to fit them before tackling the snow. From all the hilarious “animal on the road” photos that come out of New Zealand, it is obvious that cars are not the only thing you share to road with. If you see farm animals on the road, slow down or stop to let the animals move past. You may need to move slowly behind the animals if they are walking up the road. A farmer might give you some instructions. Basically, don’t run animals over and don’t sound your horn at them incase they get startled. Drive on gravel roads slowly and carefully, as they can be narrow. Slow down further when approaching oncoming traffic because dust can obscure visibility and loose stones might chip your windscreen. Heaps of bridges in New Zealand are single lane bridges. If there is a vehicle on the opposite side of the bridge, there will be a sign with arrows showing which side of the bridge gets priority. The small red arrow must give way to the the larger black arrow. For rail crossings, only around half of the crossings have lights. When lights are flashing, stop and only proceed once the lights have stopped flashing. Other crossings have signs. If a sign says stop, you must stop your vehicle and only proceed if there is no train approaching. If there is a give way sign, make sure to slow down as you approach the crossing so you are ready to stop incase a train comes. What may seem like a short distance on the map can actually be much longer in reality. As New Zealand roads tend to be windy, hilly and narrow, this can add to your travel time. Keep this in mind when planning to travel, so you don’t end up rushing to get to your destination. Have regular breaks to avoid getting tired. If you get too tired to drive, share the driving with someone else, or stop off somewhere to take a nap. Always wear your seatbelt! You’re not an irresponsible child anymore. Prefer to read this article in the form of a TOP list? See: 12 Safe Driving Tips for New Zealand. 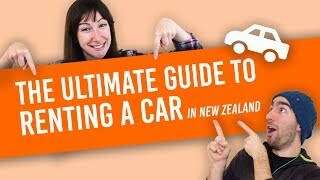 Buying a Car in New Zealand Step by Step. The North Island Scenic State Highways. The South Island Scenic Routes.